Fisher-Price Love U Zoo Jumperoo Bouncer Only $69 + FREE Shipping (Reg. $99)! 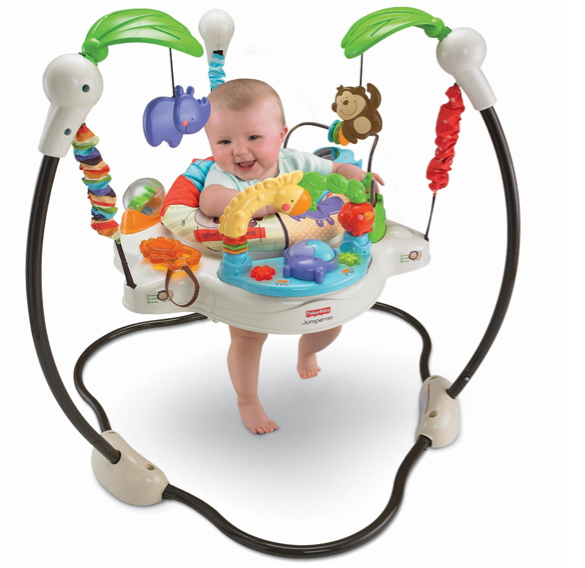 You are here: Home / Great Deals / Amazon Deals / Fisher-Price Love U Zoo Jumperoo Bouncer Only $69 + FREE Shipping (Reg. $99)! Your little will LOVE this fun Fisher-Price Love U Zoo Jumperoo Bouncer for only $69 + FREE Shipping (Reg. $99)! In fact, when my youngest had one just like this, he would wear himself out and actually fall asleep in it 🙂 This is a great deal to have it shipped to your home for FREE too!